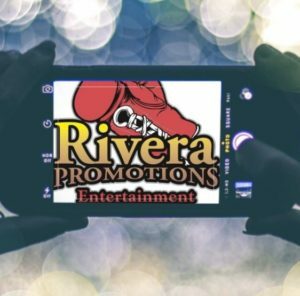 Saturday or Sunday (depending where you reside) at the Axiata Arena in Kuala Lumpur, Malaysia an all action card would be put on for the Malaysian fans in attendance headlined by a crossroads bout between Manny Pacquiao and WBA regular welterweight world title holder Lucas Matthysse. 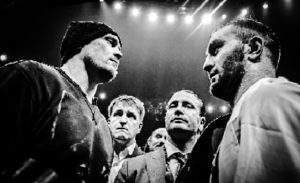 What either man could deliver was sort of a mystery, despite there being a title belt at stake both fighters in recent years appeared to be going through “The Motions” of a career that mimicked their former glory. 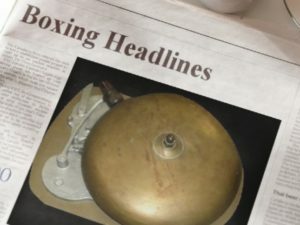 It was not since 2013, prior to his loss against Danny Garcia had we seen the version of Matthysse that earned him the moniker “The Machine”. As for Pacquiao while he has won at a higher level over these last several years, winning bouts against Timothy Bradley and Jessie Vargas, his 2017 loss against tough but limited Jeff Horn was the first time we had seen an uninspired and flat Manny Pacquiao enter the ring. Once the main event began, we seen an invigorated Manny Pacquiao, performing like a thirty not forty year old fighter, he set a swift pace that had Matthysse confused on how to retaliate. It very much mirrored Pacquiao and his 2009 performance against Ricky Hatton, punches came from all angles with lightening speed. The first knockdown would be scored in round three, after a barrage of punches had Matthysse moving backwards, Pacquiao landed an uppercut to send Matthysse onto his back. 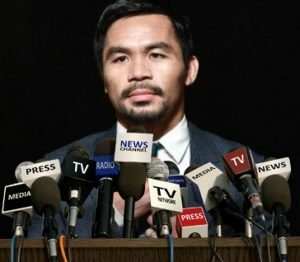 There would be little change over the next several rounds, Pacquiao attacked and punched at every angle possible while Matthysse looked for breathing room. In round five Matthysse under fire took a knee, very similar to what Cotto did in his 2009 loss to Pacquiao when he was under a non-stop barrage of punishment from a then vintage Manny. There would be a low blow by Matthysse in round six, while unintentional it was his most successful moment of the fight. 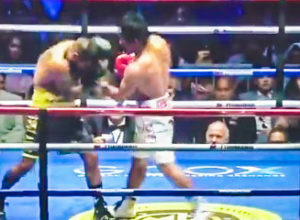 In round seven Pacquiao again with a vicious assault sent Matthysse to the canvas, the final knockdown was enough for referee Kenny Bayless to halt the contest. With the win Manny Pacquiao now the WBA regular welterweight champion improved to 60-7-2 (39), Lucas Matthysse now stands at 39-5 (36). 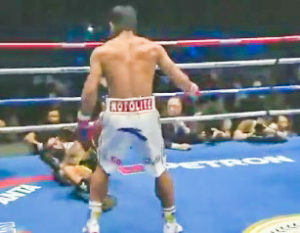 It was a great performance by Pacquiao no debating that but certainly not an inclination he is back to his former glory. At forty years old with so many outside factors in his life such as political aspirations, his recent change in camps that do not include Freddie Roach. This was in my opinion a one night only type performance, every great fighter believes he has one last big fight in him and Saturday against Matthysse for Pacquiao this was it. In no way could I envision even Saturdays version of Pacquiao being competitive with WBO division champion Terence Crawford, a man who annihilated Jeff Horn a fighter that battered and bloodied Pacquiao just a year ago. 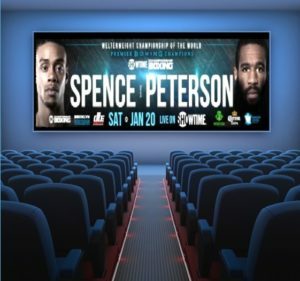 The same can be said for a bout against the divisions IBF title holder Errol Spence jr, a big strong welterweight with very few flaws and brutal KO power. As for Matthysse, his title win came against an undefeated Tewa Kiram this past January truth is Kiram despite the record on paper was not a world caliber fighter. A slow Matthysse who spent the majority of his career at 140 lbs, without the once devastating knockout power behind him and punch resistance gone will end up a name on a resume for upcoming prospects should he continue. I hope as we all should this was a final contest for both men,they have provided us countless entertaining fights and “Edge of our Seat” knockouts no matter if they laid looking down or up from the canvas when those knockouts took place. In the co-feature long time world champion Moruti Mthalane stepped in against undefeated Muhammad Waseem for the vacant IBF Flyweight title, a belt that Mthalane vacated in 2012 to pursue other career opportunities. This was an all action fight for start to finish, Waseem the Pakistanain born fighter who resides in South Korea gave good as he got every round despite a large disparity in experience. There would be a knockdown scored by Waseem in round eleven but despite being competitive for all twelve rounds and scoring a knockdown, he just didn’t do quite enough to take the title home. When final scores were read they were announced 116-110 and 114-113 twice all in favor of Moruti Mthalane, who along with the IBF flywieght title around his waist once again improved to 36-2 (24). With his first loss Muhammad Waseem now stands at 8-1 (6), while I personally could have given the fight to either man the 116-110 score handed in by Glen Feldman was a bit wide. Even though “He should be proud of his performance” sounds like a cliche because in boxing all that matters is the wins and losses, Muhammad Waseem with only eight fights under him and three years of professional experience certainly should be. He pushed one of the most successful flyweights of this eras to the brink, the last loss for Mthalane came in 2008 and that was against a much larger and younger Nonito Donaire who would several fights later be considered one of the sports best active fighters. In an entertaining featherweight bout, Filipino amatuer star Jhack Tepora took his first step towards world wide recognition when he stopped tough Mexican fighter Edivaldo Ortega in nine rounds to become the Interim WBA Featherweight title holder. It was a fight full of back and forth action with a buffet of power punches landed by both men. With his win Jhack Tepora improved to 22-0 (17), Edivaldo Ortega now stands at 26-2-1 (12). A surprisingly entertaining bout happened between, WBA Regular Light Flyweight title holder Carlos Canizales and 2016 Olympian Bin Lu. On paper despite the amateur pedigree of Lu this appeared a total mis-match but was competitive though eleven rounds. In the twelfth Carlos Canizales would stop the tired but until then game Lu to retain his belt. With the win Carlos Canizales improved to 21-0-1 (17), Bin Lu now stands at 1-1 (1). Lightweight- George Kambosos Jnr 15-0 (9) def. JR Magboo 17-2-2 (8) via TKO 2. Super Bantamweight- Juan Miguel Elorde 26-1 (14) def. Ratchanon Sawangsoda 12-3 (12) via TKO 3.